Author Benjamin Reiss's book argues that sleep has changed a lot. Sleep should be straightforward: You close your eyes and drift off. Birds do it, fish do it, dogs do it — nearly all living, breathing creatures do it. But in the past couple centuries, the way people sleep has changed in major ways, and often not for the better. Benjamin Reiss’s newest book, Wild Nights, is a treatise on humanity’s favorite small talk topic, tracing the history of sleep and our timeless obsession with it. Reiss spoke to Inverse about insomnia, the culture of sleep, and why sleep apps may well do the opposite of helping users get much-needed winks. Culturally, not sleeping much has become a good thing, a sign of a productive person. When did that happen, and might that change? There have been insomniacs and people who have complained about sleep for all time. Techniques from spiritual interventions to different social arrangements [are timeless]; what’s new — and when I say new, I mean over the last couple centuries — is how important sleep has become to our economy. With slavery, it was important to control other people’s wake cycles. Sleep was extremely important because sleep was money. Once sleep was broken, different corporations sold products to help fix it. If not a new phenomenon, it’s certainly a more intensive phenomenon. One person who is often credited with denigrating the value of sleep was Thomas Edison. He ran an insomnia squad in his lab, where he took the image of the corporate titan and squeezed in as much work as possible from his laborers. The image of the corporate leader or political figure who got by on no sleep became associated with bravery or machoism. This was hel as an image [to imitate] for workers to do as much as they can. Sleep has become valued differently. It’s now often given up for the benefit of productivity. We know the health benefits of sleep — and they are all real and valid — but one thing we’ve lost about sleep in the last couple hundred years is the mystery of it. For much of human history, it’s been connected to spiritual ideas — dreaming has been interpreted in all the major religions as a portal to a higher presence. Sleep itself is understood as divinely granted or ordained. Sleep used to be mysterious. Now it’s not, and I think that has been a loss. How have our sleep habits changed? Sleep used to be social. People slept in groups. You grew used to the sounds of people settling in, groaning, snoring. Most people slept closer to the external environment than they do now. Even if you had a home, it wasn’t soundproof. You would hear the sound of farm animals, the fire crackling, of tree frogs. Those were cues for our body to settle in. We now have sealed off sleep from the rest of our environment. Historically, sleep varied seasonally. If you think about it, it makes sense for societies whose food sources and sources of heat varied seasonally. Yet most sleep hygiene books suggest that we should get on a strict routine with sleep. That would not have made sense with people in the past. It’s anti-evolutionary advice. On the other hand, I don’t want to say everything about sleep is worse. We have certain advantages over our ancestors: We have the contemporary police force, fire departments, fireproof bedding materials. Modern dentistry is great for sleep; today, you don’t go to sleep with a great deal of pain. We have more comfortable and hygienic sleeping conditions than every before. But this only adds to the perplexity of why sleep is difficult. Is there a culture or a group of people who sleep well, or who don’t? One of the defining aspects of poverty is an inability to sleep. The literature of poverty is one of broken sleep. It’s not to say that people who are powerful can always sleep well. But the struggles of [rich people] tend to be psychological, whereas poor people, they have existential ones. You need a safe place to sleep; if you lack adequate shelter, or are in an environment that is dangerous or noisy, when you’re threatened by your circumstances, you’re going to have trouble sleeping. What are your thoughts on sleep apps? We’ve become habituated to sleep apps. We’re always trying to measure sleep, trying to fuss with it, trying to outfit it. It’s a basic biological activity common to all living creatures. There are a lot of reasons why we’ve become so obsessed with sleep. We have a plethora of clinics [in this country] — over 2,500 — and there are so many wearable devices that look at what you’re doing. Smartbeds can measure your perspiration throughout the night. We all just put so much pressure on sleeping. All of that fussing and worrying about it creates its own stress: Am I getting enough? Am I doing enough? A lot of Americans report a spike in sleeplessness after the election of President Donald Trump. What can we say about sleeplessness in a time of political turmoil? I think that stress is a form of psychological danger. There’s an evolutionary advantage to this: If you feel unsafe, you shouldn’t sleep because you become vulnerable. If you introduce a really aggressive rate into a habitat of peaceful rats, the peaceful rats develop sleep troubles — even if they’re not threatened by the aggressive rats. The evolutionary principle of fear that’s antithetical to sleeping … in times of political fear, that mechanism is probably activated. There are researchers who look at how stress gets under our skin. Neurochemically, they’ve connected stress to vigilance. In my research, I looked at [author and philosopher] Henry David Thoreau. When he was writing in the height of the struggle over slavery, he became an insomniac — he slept with an “angry pencil” under his pillow so he could write. What’s the future of sleep? It’s so hard to know how we’ll sleep in the future. There are new products, lots of money to be made. We can customize sleep so that we can sleep exactly for the intervals we want. I think that process will continue, maybe even accelerate. I don’t know if that will make sleep better or worse. Over the last decade or so, it’s become more common for people to talk and make art about sleep. There’s more discourse about sleep. More people are willing to talk about sleep. We’re tinkering with the rules. But will we sleep better? I don’t know. 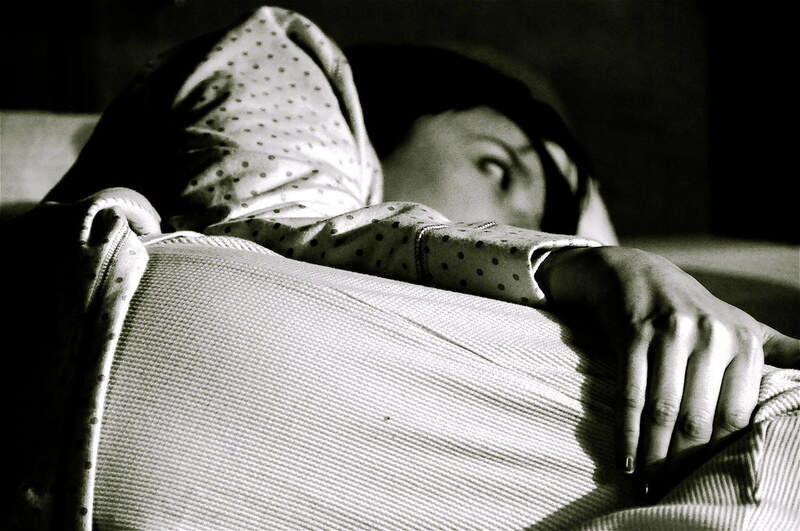 What do you wish people understood about sleep? We talk about the “normal” rules of sleep: children sleeping apart from parents, sleeping for stretches of hours. We have a lot of social conflicts around sleep. Sleep can be an interesting lens of how we organize society: Who gets to sleep in what way? In many families, there’s a power struggle when parents say to go to bed. That’s a microcosm for social conflicts around sleep. Some people get to set their own hours. Some people scramble to find whatever scraps of sleep they can. People don’t realize there are no set rules about sleep.